Here is your chance to own a classic amplifier at a reasonable price. The D-115 delivers 100W using 8 KT77 tubes (it actually measured closer to 115 before clipping) while maintaining the traditional warm and precise Audio Research signature sound. This is a well built American made unit (not a recent Chinese attempt at HiFi) weighing in at 68 lbs. It is made from the highest quality component available at the time and was hand assembled with care and attention in the Minneapolis factory. Condition is superb for an amplifier of this age. The pain it very clear with no noticeable scratches or dents. The face plates are also very clean, specially the black one. There is no rust of sight of exposure to moisture anywhere. The unit was bench tested carefully and it passed with flying colors. All tubes were tested and all capacitors were inspected and tested for leakage. It was driven to its full power rating while monitoring distortion without hiccups. It then was moved to our listening room where it powered our vintage B&W Matrix 801’s with authority and precision and made an really nice and plesant combination. This classic tube amp is available in the color of your choice. I have the original lower quality silver place plate which is period correct and a black one which is newer, has the 3D logo and thicker/more substantial. A label was made to reflect the correct model number. Just let me know which one you would prefer and I will make sure it ships that way. One just sold on Ebay for $2000 in inferior condition so Im gonna set the starting price at $2500 and take offers. Included is the amplifier with a printed instruction manual and the original box. It will be carefully packaged for safe transport. This item will be professionally packaged and insured for safe transit to your home. If we don’t have the original manufacture's packaging, we use heavy duty double ply corrugated boxes with Instapak expanding foam custom inserts. In many cases this has proven to be better than the original packaging. We also use high quality fiber reinforced tape to seal our packages. Lightweight items will be bubble wrapped and shipped in a high-quality box. This item is available for pickup in Ridgewood, NJ or Union Square, NYC (with convenient parking in the building). NJ Residents or anyone picking up without a resale certificate will need to pay NJ Sales Tax. Use the Buy It Now button and we will cover the PayPal fees. Thanks for looking and be sure to call or text 646.852.2073 with any questions. 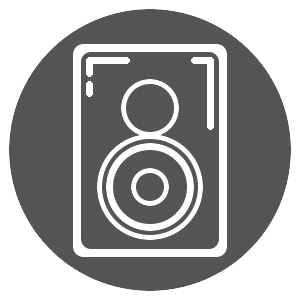 Skyfi Audio is a small startup business specializing in the purchase, reconditioning, and reselling of select high end audio equipment. We only buy equipment the we admire and are passionate about. No mid-fi, no gimmicks, and no junk. Each piece of equipment is cosmetically restored and fully tested in our well-equipped lab by an engineer with 30+ years of experience in the HiFi world. If it does not meet or exceed the original manufactures specifications, it will not be sold. We are very selective about the equipment we purchase, focusing on mostly analog, high-build quality, American, and European built units. We do not accept or review any offers that do not go through the official Audiogon system. We have too many items for sale and its nearly impossible to keep track of offers outside of the official system. Please don’t message, email, or text any offers. If you do not see a “Make an Offer” button, it means we are not considering any offers on that item. We prefer working through PayPal, which allows you to use a credit card or bank transfer. 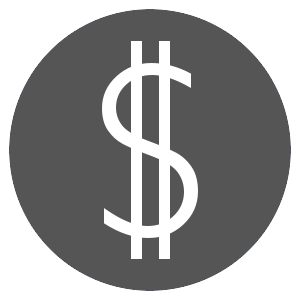 We do not charge extra for any payment fees if you purchase the item at the asking price. You can also send us a personal check (which will need to clear before shipping), certified check, money order, or wire transfer. International clients without access to PayPal should use a bank wire transfer. If you are picking up an item, we do not accept PayPal. You must pay in person with cash, certified or bank check, or wire transfer. If you make a PayPal payment and are picking up the item, it will be returned. We accept trade-ins of equal or lesser value under certain conditions. Simply ask and let us know the exact model, condition, and the accessories that are included. Such as the original box, remote, manual, etc. We will only consider high-end equipment from mainstream manufacturers such as McIntosh, Mark Levinson, Audio Research, Krell, etc. and will typically pass on displays, projectors, receivers, dated processors, and mid-fi equipment of any type. We will offer a fair value for your equipment, but keep in mind we are running a business and will need to be able to resell the equipment at a profit after investing a great deal of time and resources in testing, certifying, repairing, cleaning, and packaging the incoming equipment. If you are looking for top dollar we suggest attempting to sell it directly to an end user on your own. We will also purchase your used or broken gear and arrange pickup if you are in our local market. Just drop us a note for a quote but be sure to include the condition and what is included. We are currently operating from a residence in Ridgewood, NJ. You are welcome to make an appointment if there is a piece of equipment you would like to see in operation before or after purchase. We have a well-equipped, dedicated listening room with tons of equipment of all makes and models. We are not a store, so please don’t make an appointment if you are just curious as to how a speaker or piece of equipment sounds. In essence, no tire kickers please. If you are in NYC and cannot make it out to Ridgewood, we can arrange pickup in Union Square (14th Street) after the purchase. You can call or text 646.852.2073 with any questions or to schedule an appointment. We can also arrange to install, calibrate, and tune the gear in your listening room if you are local to the area. This is super useful when purchasing large speakers or heavy amplifiers. It is also great for ensuring your new turntable is setup correctly in its final resting place. Thanks for looking and please send us your email address if you would like to receive a list of the equipment we receive from time to time. We promise not to bombard you with junk email.